The 190 meter long, 33205 dwt bulk carrier Emerald Star foundered some 150 nautical miles east of the coast off Cagayan, Philippines. 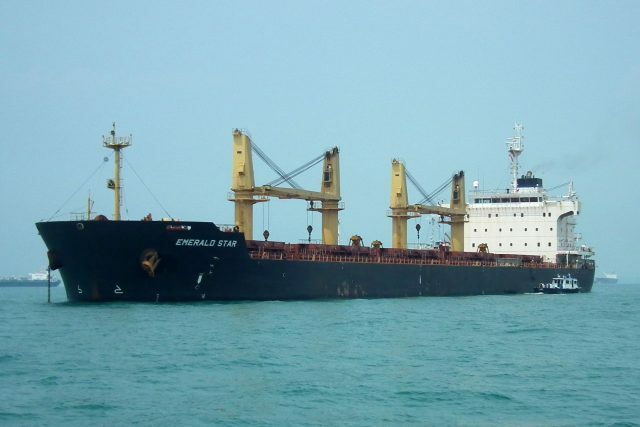 The Emerald Star had departed from Buli, Indonesia with a cargo of nickel ore and 26 crew bound for Lianyungang, China. While passing through the Luzon Strait, it encountered rough seas due to proximity of Typhoon Odette. The conditions caused the cargo to liquefy and the bulk carrier lost stability. The crew of the Emerald Star was able to sent out a distress call before the vessel capsized and sank. The Japanese Coast Guard launched a search and rescue operation. Two boats and three aircraft were dispatched to search for survivors. Four nearby vessels joined the search operations. These nearby vessels were able to rescue 15 crew from the water. Reports state 11 crew were still reported as missing. Search operations had been hampered by bad weather. An oil slick is visible around the area where the Emerald Star sank.